NPR had a very interesting story this morning about the tree lobster, a 12 cm long flightless insect from Australia. Thought to be extinct since the 1920s due to the accidental introduction of black rats to Lord Howe Island, biologist found one small group of them living on one plant way up a mountain on a tiny island off the coast. It’s a very interesting story about invasive species and conservation. 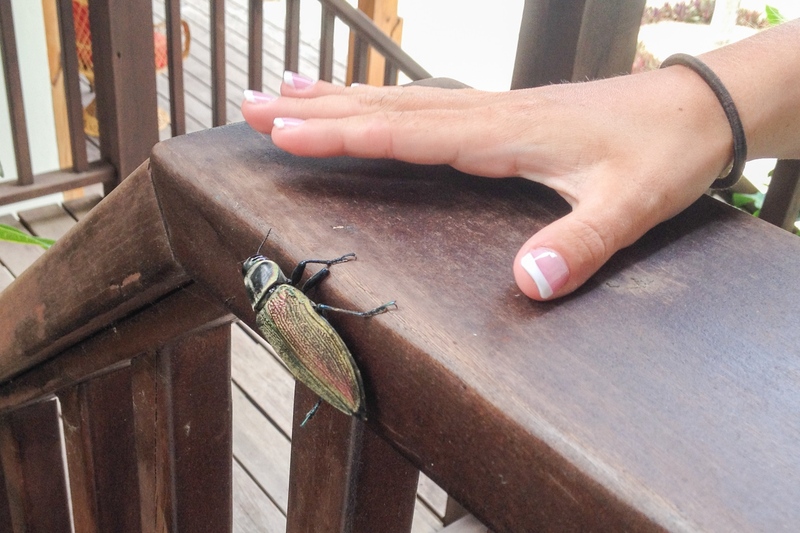 Australia definitely isn’t the only place with huge insects. Check out this beetle we ran into in Hopkins, Belize last summer. Giant bugs are part of the adventure, right? What’s the craziest insect or animal you’ve ever run into?